One of the NBA’s 50 Greatest Players of All Time, he won the Most Valuable Player Award in 1993 and was a perennial member of the All-Interview Team, but retired in 2000 after 16 seasons without winning an NBA Championship. Upon his retirement, he ranked 13th in the NBA in career scoring with 23,757 points and 15th in rebounding with 12,546 rebounds, finishing with career averages of 22.1 points and 11.7 rebounds in 1,073 games. He is one of only four players, with Kareem Abdul-Jabbar, Wilt Chamberlain and Karl Malone, to post more than 23,000 points, 12,000 rebounds and 4,000 assists in his career. He also was the leading scorer on the gold-medal-winning U.S. Olympic basketball teams in 1992 at Barcelona and 1996 at Atlanta. At 6-6 and 252 pounds (leaner than in his college days), Barkley had an unusual build for a basketball player-much stockier than most small forwards, yet far shorter than the league’s power forwards. He nevertheless could outmaneuver and outsmart bigger players and overpower smaller opponents. He was fluid on the break, a powerful jumper, a deadeye shooter from any angle and one of those rare talents who performed at his best in the clutch. In addition, Barkley managed to be outspoken and outrageous but likable all the same. In his three-year college career at Auburn, Barkley averaged 9.6 rebounds and became known as “the Round Mound of Rebound” for his heft and his hunger for caroms. He was the Southeastern Conference Player of the Year in 1984 but didn’t make the U.S. Olympic basketball team that season. He entered the 1984 NBA Draft as a junior and was taken by the Philadelphia 76ers with the fifth overall pick. After averaging 14.0 points and 8.6 rebounds as a rookie, Barkley posted averages of 20 or more points and at least 10 rebounds per game for 11 seasons in a row with Philadelphia and Phoenix before finishing his career with four seasons with the Houston Rockets. His achievements were remarkable. He was an All-NBA First Team selection in 1988, 1989, 1990, 1991 and 1993, an All-NBA Second Team pick in 1986, 1987, 1992, 1994 and 1995 and an All-NBA Third Team choice in 1996. He was selected to 11 All-Star Games, received more All-Star votes than any other player in 1994, and was MVP in the 1991 All-Star classic. In 1986-87 he led the NBA in rebounding (14.6 rpg), and the next year he finished fourth in scoring (28.3 ppg). He topped the NBA in offensive rebounding for three straight years and is among the league’s all-time leaders in field goal percentage. He scored 56 points in a single playoff game in 1994, the third-highest total ever. In 1992 he was part of the original U.S. Olympic Dream Team that won a gold medal in Barcelona, and in 1996 he was part of the Dream Team that won a gold medal at Atlanta. Popular with fans and the media, he made the All-Interview team for each of his last 13 seasons in the league. Barkley spent eight seasons in Philadelphia. The 76ers’ best showing during his tenure with them was a five-game loss to the Boston Celtics in the 1985 Eastern Conference Finals after the Sixers went 58-24 in the regular season. When the team failed to make the postseason in 1991-92, Barkley was involved in one of the most significant trades in recent memory. Philadelphia traded him to the Phoenix Suns in exchange for Jeff Hornacek, Tim Perry and Andrew Lang. Unhappy in his last years in Philadelphia, Barkley found new life in Phoenix. He had a magical first season with the Suns, winning the NBA MVP Award while leading Phoenix to the league’s best record and a berth in the 1993 NBA Finals. The Suns lost to Michael Jordan and the Chicago Bulls in a memorable six-game series. Over the next two seasons Barkley struggled with nagging injuries, and the Suns struggled with him. They reached the conference semifinals in 1994 and 1995 but lost to the Houston Rockets both years. Barkley bounced back with a big season in 1995-96, but the Suns dipped to 41-41. Changes seemed inevitable for a franchise that had come close to the championship but fallen short. On August 19, 1996, Barkley was traded again. This time, the destination was Houston, where he joined stars Hakeem Olajuwon and Clyde Drexler on a team with title aspirations. For the Suns, the trade meant instant rebuilding, as it brought them promising young players Sam Cassell and Robert Horry and veterans Chucky Brown and Mark Bryant. For Barkley, it was one last chance to achieve the one thing that had escaped him: an NBA championship. It didn’t happen, however. In 1996-97 and 1997-98 the Rockets were eliminated in the playoffs by Utah, and in 1998-99, when they were ousted by the Los Angeles Lakers. In 1999-2000, when Barkley missed most of the season because of a torn left quadriceps tendon, Houston failed to make the postseason. Barkley announced his retirement shortly after he was injured in December, but came back to play one final game before the home fans in Houston on April 19. Do you want to hire Charles Barkley? Directly request a quote. In 48 hours we can send you the availability of Charles Barkley If you would like to book Charles Barkley, Entertainment Booking Agency is the right place. 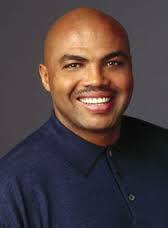 We will offer you the best price and contact the management or we directly contact Charles Barkley. For corporate appearances or speaking engagements you can contact our agents and the will help you true the process. Tags: hire Charles Barkley, Charles Barkley booking, book Charles Barkley, Charles Barkley appearances, find more information on booking Charles Barkley for appearances, Charles Barkley speaking engagements, Charles Barkley endorsements/spokesperson, Charles Barkley appearance fees, Charles Barkley booking agency contact info, biography of Charles Barkley, Contact an artist booking talent agent find a speakers bureau that can book Charles Barkley, speaker booking agency for Charles Barkley, Charles Barkley booking agency, Charles Barkley booking for corporate event. EBA is one of the biggest entertainment booking agencies in the World. We book hundreds of celebrities, artist, athletes and speakers in a year. Important to know is that we are not claiming to be the management of Charles Barkley. We are not the official agent for Charles Barkley. Companies from around the globe book these artists and speakers true our company be course we have one of the biggest networks and we always have direct contact with the artist or the management. We help you to find the right celebrities for your corporate of private events. Please contact one of our agents to get free advice and we will help to get the world-famous artist on your party.